Based on the excellent comic by writer Grant Morrison and artist Frank Quietly, this limited print series has been faithfully transformed into an animated feature by Dwayne McDuffie and more importantly, it's quite a decent watch. The story centres around Superman (James Denton) who after a mission to the sun discovers that his cells have been oversaturated by solar radiation. Although Superman's powers are derived from the sun, this overload has given him a death sentence. 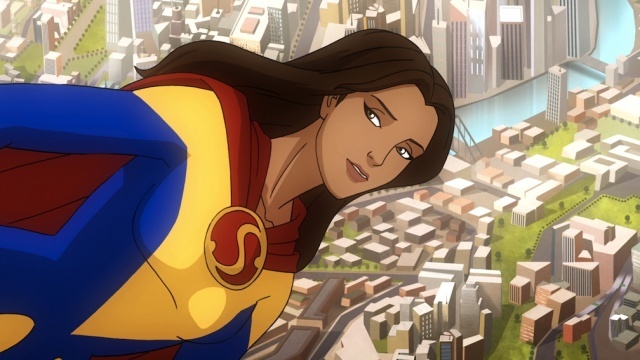 With the world's most powerful being facing mortality, he decides to disclose the truth to Lois Lane (Christina Hendricks) and as a gift, he allows her to have a taste of his powers in essence transforming her into superwoman. The dynamics between Clark and Lois is perfect as is the relationship between Superman and Lex Luthor (Anthony LaPagli), his arch-nemesis. Although relationships play a pivotal role in the story, there is plenty of action laced throughout the story such as Superman vs Luthor or Superman going head to head with two not very nice Kryptonians. Having read the original comic, McDuffie does a good job at taking certain elements from the Morrison story and incorporating them into this short feature film that unfortunately is not as powerful as the original story. 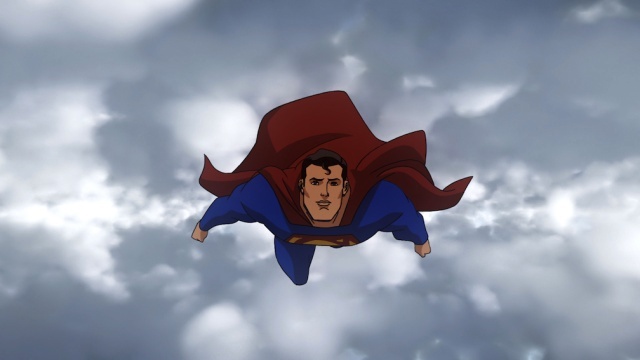 Even so, it is still one of my favourite DC Comics films that really pays homage to the silver age Superman with its more simpler ideas as opposed to the over complicated character that he has become today. There are also several supporting characters included in the story such as the "I want it now!" editor of the Daily Planet Perry White (Ed Asner) and Nasthalthia Luthor (Linda Cardellini) that help ground this new Superman myth. 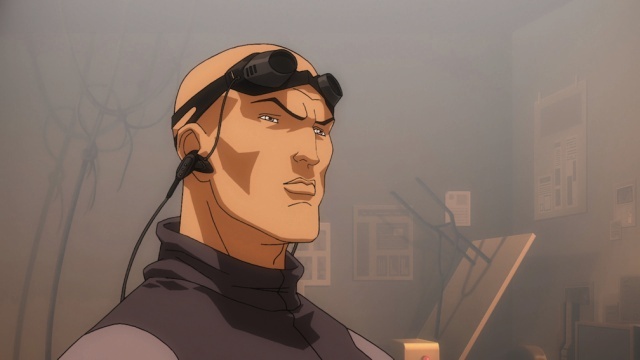 In terms of the actors who play their animated counterparts, they have been perfectly chosen from the noble sounding James Denton as Superman to Australia's very own Anthony LaPaglia as the devious and defiant Lex Luthor. I also enjoyed Christina Hendricks as Lois Lane who has this sense of mischievous nature to her with an air of cuteness. The actors have been perfectly cast. For any DC fanboy or girl, there's plenty of great cameos that only enhance this memorable tale of the man of steel. Hopefully with the DC relaunch in September, this is the Superman that will fly out of their new comics. The artwork is another highlight of All-Star Superman that does pay homage to Frank Quietly's work and even though it looks more cartoony than the original story, there are certain elements that really stand out and look just like it did in the comic, especially with the colouring. On DVD, the artwork looks sharp with vibrant colours and no errors whatsoever. Audio supports Dolby Digital 5.0 that really booms through your surround speakers when the action heats up. Dialogue is clear and all the sound levels are perfect. A special mention should be made to Christopher Drake who creates a majestic soundtrack to one of the world's most well known superheroes. Green Lantern: Emerald Knights "Sneak Peek"
Unfortunately the extras are quite limited on the DVD release and only contains two sneak peaks. The viewer gets a sneak peek at the upcoming animated film Green Lantern: Emerald Knights which is almost a history lesson on the Green Lantern Corps from the DC Universe. We get snippets of the film and lots of interviews from key people from DC Comics and those involved in the film. The other special feature takes us into the world of Superman/Batman from its creation to the comics to the world of film. It's similar to the Green Lantern: Emerald Knights sneak peak but are more adverts than anything meaningful. 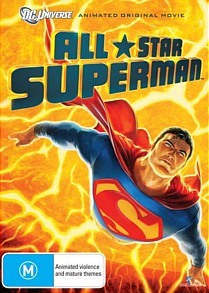 In the end, All-Star Superman is a fun albeit short story that gives the viewer another take on the Superman mythology. There is some great characterisation and action in the story and given the format, McDuffie done a remarkable job. Personally, this story would have translated better as a limited TV series but the nonetheless, if you're a fan of comics or Superman, than you really should check this out.